Classical music can be obtuse. It is easy, especially at free concerts occupied largely by octogenarians, to get lost between movements and melodies. This is especially true of symphonies, where soundscapes are so densely packed that focus is elusive. The string quartet, on the other hand, is relatively digestible. Four voices — two violins, a viola, and a cello — facilitate much easier listening. The relationship between the audience and the performers is also germane to more focussed viewing experience, owing to the legacy of the quartet in the tradition of chamber music performed in the private homes of the very wealthy. Borrowing from Austrian and Czech traditions, 19th century English musical directors started to seat the audience in a circle around the performers. Already the impersonal nature of full orchestral performance was being complemented by something more intimate, where the viewers eyes are locked onto four players and their instruments. 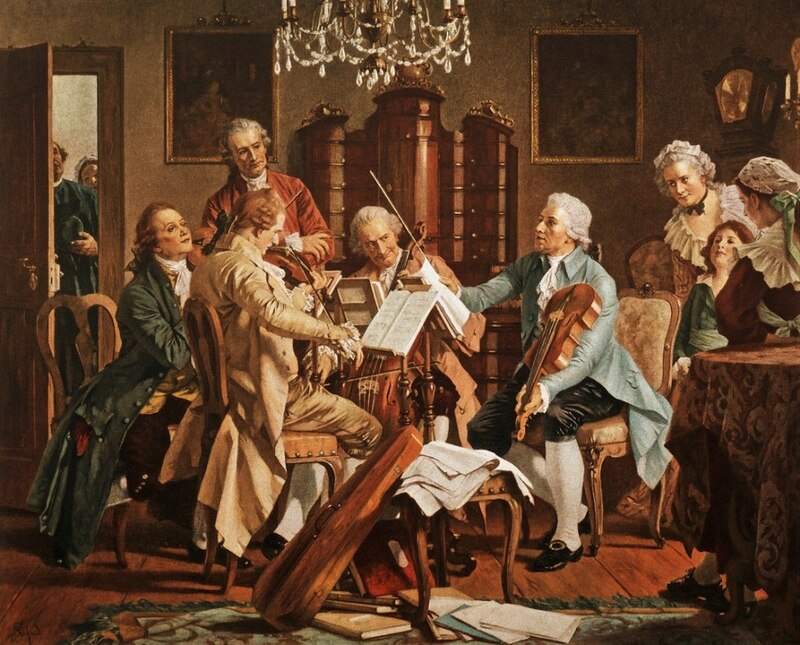 Where both the symphony and the string quartet are associated with aristocratic pretensions, the latter took form as a comparatively accessible genre of classical music. By the end of the 19th century, the London-based South Place Ethical Society (now known as Conway Hall) started hosting free string quartets on Sundays. Mirroring the celebrity status afforded to pianists like Franz Liszt, the public could engage with the personalities of the quartet. The Kronos Quartet, the original rockstars of the string quartet world, graced Brightonians with their presence at the Dome this summer, but not in their usual capacity. Viewers had the exclusive experience of watching a live documentary about the quartet titled ‘A Thousand Thoughts.’ Director Sam Green, whose previous works include a similar project about the life of chemist Buckminster Fuller, intersperses footage of the quartet discussing their journey from obscurity to stardom with his own commentary in what could have been a clunky performance. The music is performed, of course, by the Kronos Quartet themselves, sitting closest to the audience. The selection is impeccable; as we learn of familial tragedies of the quartet’s membership, the most impactful parts of their repertoire provide a live soundtrack. Familiar favourites are used to great effect, with Lux Aeterna and the soaring strings from the closing of Paul Schrader’s Mishima making memorable appearances. By collaborating with esteemed composers, musicians from around the world, and a variety of other performance artists, Kronos both saved the string quartet from obscurity. Ultimately, the most gripping part of A Thousand Thoughts is the presentation of the interior lives of classical musicians, who rarely enjoy the same cult of personality as rockstars. Luckily, our city is blessed with a superb classical music scene in, and nearly all of the performances are significantly discounted for students. There is even a significant amount of free classical music in Brighton. In particular, the Attenborough Centre on campus currently hosts Coffee Concerts, a series of chamber music (usually a string quartet) performances between October and March. Through the CAVATINA scheme, which to this day preserves the 19th century tradition of free classical concerts in London, anyone under the age of 26 is entitled to a free ticket. The first concert this year features the Marman Quartet, recipients of the Eugene Frost Prize from the Royal Philharmonic Society. Thanks to the Attenborough Centre, the Brighton Dome, and chamber music society Strings Attached, some of the best chamber music in the world is right on our doorstep and is totally free. More than that, it is incumbent on us, as young people, to give this art form a chance. If the quartet is to have a future, our generation must save it. In time, there may be a second rebirth of the quartet. But if there is any hope for that kind of reinvigoration, we must support classical music now.